We have a great deal on the Wood Trick DIY Mechanical 3D Puzzles in the Geeky Gadgets Deals store, you can save 17% off the normal price. There are a number of different Wood Trick DIY Mechanical 3D Puzzles to choose from and they cost $32.90. Wood Trick’s wooden puzzles let you take your solving skills to the third dimension! Capture the awe and wonder of the carnival on a miniature scale with this interactive ferris wheel. On top of flexing your imagination, this mechanical model calls for spatial, tactile, and motor skills to get it up and running. And, once it’s put together, you can liven up a desk or shelf and impress visitors with a unique, functional model. 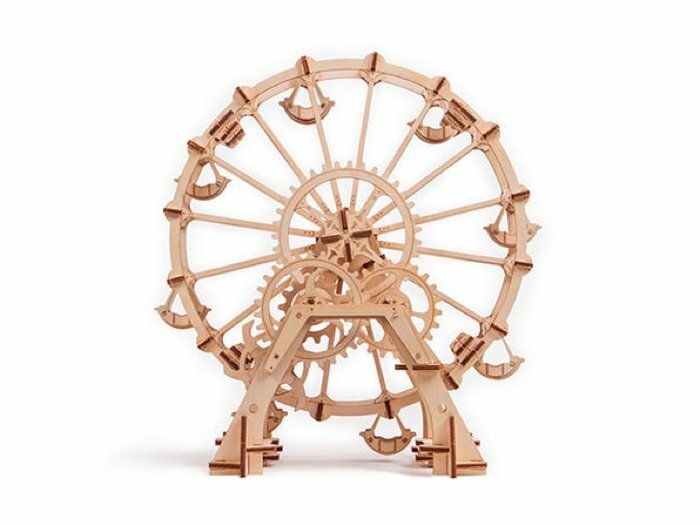 You can find out more details about the Wood Trick DIY Mechanical 3D Puzzles over at our deals store at the link below.